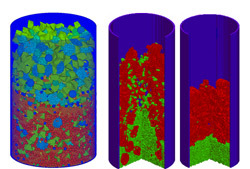 Structure Vision’s DigiPacTM software can be used to model the structure and predict the properties of various particulate systems. Given a number of arbitrarily shaped particles of a particular shape and size, how are they likely to pack together in a confined space? Based on this packed structure, how is the entire assembly likely to behave in real life (e.g. how will gases flow through the structure and what are its heat transfer properties)? 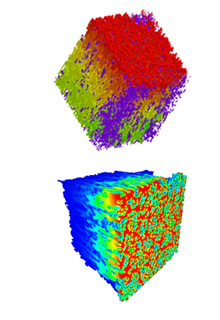 DigiPacTM has been used to assess the behaviour of catalyst systems on chemical plants and has also been used to predict the likely dissolution behaviour of tablets in the pharmaceuticals industry. 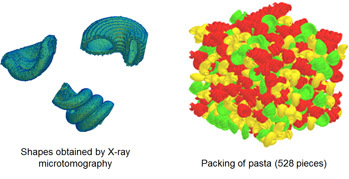 Packing density of particles of any shape and size distributions in a confined space (or container) of arbitrary geometry. 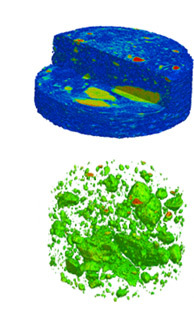 Other structural characteristics (e.g., particle orientation, contact statistics, distribution of individual components). Tendency of segregation during powder handling due to vibration, shaking etc. Converted from CAD files in most formats. 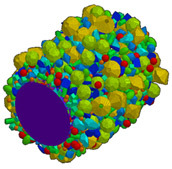 Parametrically defined standard shapes, such as ellipsoids, crystals, pellets, etc. In addition, DigiPacTM can output packed structures in CAD format for additional analysis, for example, CFD. 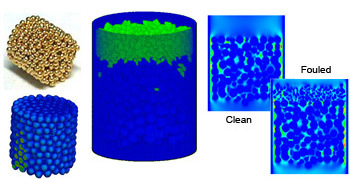 Permeability and fluid flow through packing structure. Mechanical strength and force distribution. Light scattering properties of a coating layer. 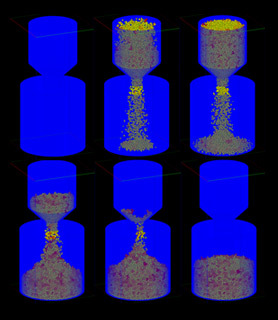 Dissolution of tablets and granules.